Framer Framed is a platform for contemporary art, visual culture, and critical theory & practice. 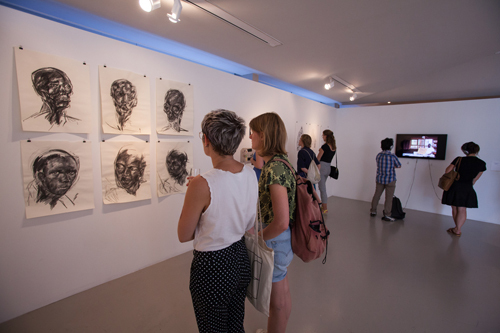 Each year the organisation presents a variety of exhibitions in collaboration with both emerging and established international curators and artists, on topics such as identity politics, notions of ‘the Other’, and historiographical propositions. 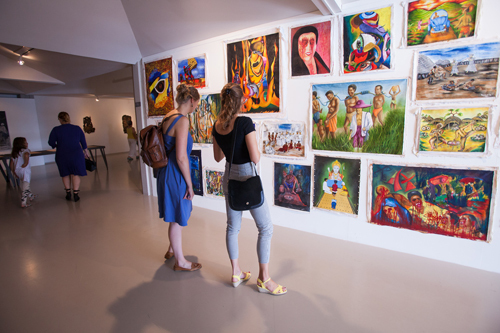 An extensive public program is organised alongside these exhibitions in order to shed light on the topics concerned, and provide a wide range of perspectives. With this common space for dialogue, Framer Framed aims to show a plurality of voices in a globalized society. 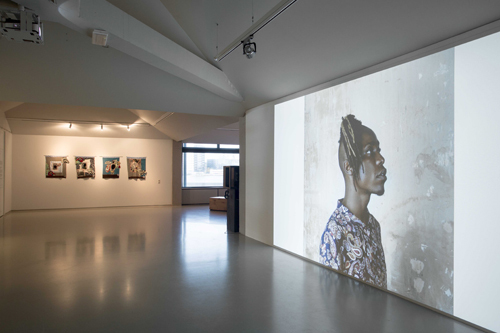 Framer Framed began in Utrecht in 2008, at a time when many curators at cultural memory organisations were confronted with comparable questions regarding their work practice. Specialists from ethnological, cultural history, and contemporary art institutions alike came up against unwanted boundaries of the institutional frameworks within which they operated. With the ambition to overcome the shortcomings of the modernist definitions that constituted the foundation of their respective institutions, a search for new curatorial strategies was initiated, in collaboration with different stakeholders and audiences. Early contributors were—along with current Framer Framed directors Cas Bool and Josien Pieterse—Meta Knol, curator of the Centraal Museum at the time (and current Framer Framed board member); George Petitjean, curator of the Museum of Contemporary Aboriginal Art; Wim Manuhutu, director of Maluku Museum dedicated to the Moluccas; and Nancy Jouwe, director of PACE Papua Heritage Foundation. The participating organisations where invited to submit their upcoming exhibitions and running projects for critical public reading sessions. Have a look at our video archive for some examples. Framer Framed later evolved into an independent network for exchanging knowledge—a platform to rethink the role of art, and the position of art institutions, in a rapidly developing society. 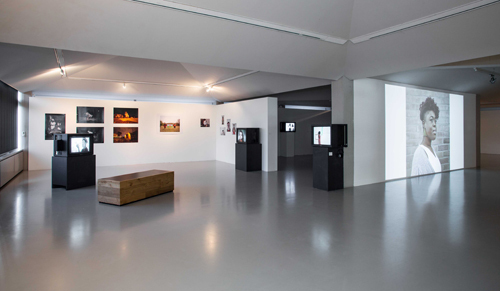 Since opening an exhibition space in the Tolhuistuin in May 2014, the focus has shifted towards organising programs and exhibitions in our own space. Institutions that have contributed to Framer Framed in the past include: Museum De Lakenhal, Centraal Museum, Tropenmuseum, Museum voor Volkenkunde Leiden, AAMU – Museum voor hedendaagse Aboriginal kunst, Kosmopolis Utrecht, Kosmopolis Rotterdam, AWAD – Atlantic World and the Dutch, Museum De Paviljoens, Imagine IC, Het Domein, MUMA – Museum Maluku, Groninger Museum, Museum voor Moderne Kunst Arnhem, Indisch Herinneringscentrum, Reinwardt Academie, and Afrika Museum. The title Framer Framed is derived from the work by Trinh T. Minh-ha. Framer Framed is made possible by The Ministry of Education, Culture and Science (MinOCW), Amsterdam Fund for the Arts (AFK) and Tolhuistuin. The organisation receives pro bono legal advice from De Brauw Blackstone Westbroek. The website and visual identity of Framer Framed is designed by Van Lennep.